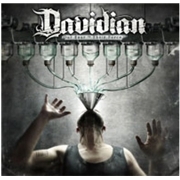 Stuttgart´s thrashers DAVIDIAN strikes with their third album, thrashy but not cored. The story of the band hails back to 2003, when they released the self-financed “Abuse of Power”. Festivals and gigs followed and in 2007 they got a contract for “Hear Their Cries”. Worldwide distribution was included and more shows and larger festivals followed, supporting the likes of VADER and HATBREED. This time around they got studio time with Tue Madsen, and brought along their new vocalist Tobi Brausch. The rest of the band consists of guitarists Alex Schniepp and Micha Weidler, bassist Tim Hinderer and drummer Alex Scherf.